Draft: 2007, Florida Marlins, 2nd rd. Full name is Giancarlo Cruz-Michael Stanton ("jawn-KAHR-loh")... Graduated from Notre Dame H.S. (Calif.) in 2007…earned All-Southern Section honors in baseball, football and basketball as a senior…was named the 2007 Cal-Hi Sports Boys State Athlete of the Year... Following his 2014 dental surgery after being hit in the face by a pitch, co-founded the All-Star Smiles Foundation to ﬁght child tooth decay by providing free dental care to children in need…the foundation held events in 2015 and 2016, and has assisted approximately 1,000 Miami-area children to date. Hit .266/.343/.509 (164-for-617) with 102R, 34 doubles, 38HR, 100RBI and 70BB in 158 games (85GS at DH, 37 in RF and 35 in LF) in his first season with the Yankees…reached the 100RBI plateau for the second straight season and third time in his career (105RBI in 2014 and 132RBI in 2017)…reached 100R for the second time (123R in 2017)...Was the Yankees' nominee for the 2018 Hank Aaron Award…won the award in both 2014 and '17 with Miami...Batted .316/.391/.645 (48-for-152) with 9 doubles, 1 triple, 13HR and 28RBI off left-handed pitching...His 38HR were fifth-most by a player in his first season as a Yankee, trailing Babe Ruth (54HR in 1920), Jason Giambi (41HR in 2002), Mark Teixeira (39HR in 2009) and Roger Maris (39HR in 1960)...With 38HR and 34 doubles, was one of nine Majors Leaguers to reach 30 doubles and 35HR this season…was the first Yankee to reach those benchmarks in the same season since Mark Teixeira in 2009 (39HR, 43 doubles)...Had a Major League-leading 74 batted balls with an exit velocity of at least 110 mph according to MLB Statcast (next: Nelson Cruz-50)…had five of the Majors' 10 hardest-hit home runs of 2018...Had 38HR, 100RBI and 102R, the 12th player in franchise history to reach each of those totals in a single season…was just the fourth to reach those totals in his first season with the club, joining Mark Teixeira in 2009 (39HR, 122RBI, 103R), Jason Giambi in 2002 (41HR, 122RBI, 120R) and Babe Ruth in 1920 (54HR, 136RBI, 158R)...Had six games of at least 4H in 2018, tied with Arizona's David Peralta for second-most in the Majors (Boston's Mookie Betts-7)…were the most 4H games by a Yankee since Bernie Williams (7 in 1999)...Batted .371/.423/.700 (26-for-70) with 13R, 6 doubles, 5HR and 17RBI in 18 games vs. Boston…hit .486 (18-for-37) with 7R, 4 doubles, 2HR and 9RBI in nine games at Fenway Park...Became the first Yankee to hit at least 20HR before the All-Star break during his first season with the club since Mark Teixeira in 2009 (21HR before the break)…is the first Yankee to do so after being traded to the team since Alex Rodriguez in 2004 (22HR)…is the only active player with at least 20HR before the break each season since 2014...Went 3-for-5 with 3R, 1 double, 2HR and 4RBI in his Yankees debut in 3/29 win at Toronto, marking his 29th career multi-HR game…according to Elias, was just the second player in Yankees history to homer twice in his first game with the club, joining Roger Maris, who began his 1960 AL MVP Award-winning season by going 4-for-5 with 2R, 1 double, 2HR and 4RBI on 4/19/60 at Boston…was the first player to homer in his first plate appearance as a Yankee since Tyler Austin and Aaron Judge did so in consecutive at-bats on 8/13/16 vs. Tampa Bay...Became the second Yankee since 1908 to collect at least 3XBH and 4RBI on Opening Day, joining Roger Maris (3XBH, 4RBI) on 4/19/60 at Boston…along with Chicago-AL's Matt Davidson (3-for-4, 4R, 3HR, 5RBI in 2018), became the first Major League hitters to accomplish the feat since Toronto's J.P. Arencibia (3XBH, 5RBI) on 4/1/11 vs. Minnesota…became the seventh Yankee to hit 2HR on Opening Day, the first since Joe Pepitone on 4/9/63 at the Kansas City A's…his ninth-inning homer to center was measured at 109.4 mph...Hit .218 in April, .264 in May, .298 in June and .323 in July…was the third player in Yankees history to improve his monthly averages by 25 or more points in every month, April through July (min. 50AB each month), joining Melky Cabrera in 2007 (.200, .254, .298, .368) and Didi Gregorius in 2015 (.206, .232, .258, .317)-credit: Elias...Made his first career start in LF in 4/1 loss at Toronto...Hit his third HR of the season in 4/4 win vs. Tampa Bay, becoming the first player ever to hit at least 3HR in the first six team games in his first season as a Yankee...His first-inning single in 4/6 loss vs. Baltimore was his 2,000th career total base...Struck out a career-high, and franchise-record-tying, five times twice on the Yankees' first homestand (4/3 win vs. Tampa Bay and 4/8 loss vs. Baltimore)...Played his 1,000th career game on 4/13 at Detroit, becoming the fourth player from the 2007 First-Year Player Draft to reach the 1,000-game milestone, joining OF Jason Heyward, C Matt Wieters and 1B Freddie Freeman…his 270HR were the fourth-most HRs through a player's first 1,000 career games, behind Ryan Howard (279), Ralph Kiner (277) and Harmon Killebrew (272)...Hit two-run HR and solo HR and was 3-for-4 with 1 double and 4RBI on 5/2 at Houston, driving in all of the Yankees' runs in their 4-0 shutout victory…was his 30th career two-homer game (and second of the season)…became the ninth player in Major League history to record at least 30 multi-homer games prior to turning 29 years old…is one of three players in Baseball history to reach 30 multi-HR games through his first 1,016 career games (also Ralph Kiner-35 and Juan González-30)…became just the second Yankee since 2011 to have at least 4RBI and drive in all the Yankees' runs in a win (also Greg Bird on 8/19/15 in a 4-3 win vs. Minnesota)…is the first Yankee to accomplish the feat in a shutout win since Mark Teixeira on 6/20/10 in a 4-0 win vs. the Mets...Hit two solo HRs in 5/8 win vs. Boston…was his 31st career two-homer game, becoming the second player in Baseball history to reach 31 multi-HR games through his first 1,021 career games (Ralph Kiner-35)...His fifth-inning single in 5/15 loss at Washington was the 1,000th hit of his Major League career…through his first 1,000 career hits, 499 went for extra bases (211 doubles, 11 triples, 277HR)…is one of three players in Baseball history with at least 499 extra-base hits through his first 1,000 career hits (Babe Ruth-517, Adam Dunn-507)-credit: Elias...Hit solo HR in 5/19 win at Kansas City…the homer was his 500th career extra-base hit…at 28 years, 192 days old, became the fourth-youngest player to debut since 2000 to reach 500 XBH, trailing: Albert Pujols (26 years, 208 days), Miguel Cabrera (27 years, 40 days) and Prince Fielder (28 years, 141 days)...Made 85 consecutive starts from 5/28-9/1 (46 at DH, 26 in RF, 13 in LF)…the longest streak of consecutive starts by a Yankee since Robinson Canó started 176 in-a-row from 8/17/12-8/27/13…acccording to Elias, was the first Yankee to appear in at least 85 consecutive team games since Starlin Castro appeared in 96 consecutive games from 6/2-9/17/16...Hit .375/.430/.625 (48-for-128) with 20R, 8 doubles, 8HR, 23RBI and 12BB over a 32-game stretch from 6/16- 7/23…collected 13 multi-hit games over the span (nine 2H games, three 4H games and one 5H game)…reached base safely in all but three of the 32 games...Hit two-run "walk-off" HR in the ninth of 6/20 win vs. Seattle…was his sixth career "walk-off" hit (first since a single on 8/19/14 vs. Texas) and fourth career "walk-off" HR (first since 4/18/14 vs. Seattle off Yoervis Medina)…was just the second "walk-off" HR by a Yankee on an 0-2 count since 2000 (also Jason Giambi on 6/5/08 vs. Toronto off B.J. Ryan)…was the first such homer in the Majors since 4/30/17 (Arizona's Daniel Descalso off Colorado's Jordan Lyles)…had an exit velocity of 117.9 mph and an estimated distance of 453 feet...Hit game-tying solo HR in the eighth and was 5-for-5 with 2R, 2 doubles, 2RBI and 1IBB in 6/24 loss at Tampa Bay, tying his career high in hits (also 8/11/10 at Washington) and times on base (6, also 7/9/17 at San Francisco: 3H, 2BB, 1HP)…was the first 5H game by a Yankee since Curtis Granderson on 4/19/12 vs. Minnesota (5H)…was the first Yankee to reach safely at least six times since Stephen Drew on 8/30/15 at Atlanta (4H, 2BB)...Went 9-for-9 with 4R, 3 doubles, 1HR, 4RBI and 2BB over consecutive games at Tropicana Field (6/24 and 7/23)…according to Elias, became the first Yankee to record hits in nine consecutive at-bats at one road venue since Lou Piniella also had nine straight hits at Kansas City's Kauffman Stadium from 9/3/82-5/3/83…was the first MLB player to reach safely (via H/BB/HP) at least five times without making an out in consecutive games at one road venue since Cleveland's Michael Brantley on 6/9/14 and 5/15/15 at Texas' Globe Life Park (credit: Elias)...Was one of five AL All-Star "Final Vote" candidates…was the 10th Yankee to appear on the Final Vote ballot, joining SS Didi Gregorius (2017), OF Brett Gardner (2015), RHP David Robertson (2013), OF Nick Swisher (2010), 1B Jason Giambi (2008), SS Derek Jeter and OF Hideki Matsui (2005), Matsui (2004) and Giambi (2003)...Reached base safely in 21 straight games from 8/4-8/25 (G2), tied for the third-longest streak of his career…was his longest such streak since reaching safely in a career-high 27 straight games from 7/24-8/22/17 with Miami…reached base safely multiple times in seven straight games from 8/16-24, tied for the longest such streak of his career...Scored at least 1R in a career-high nine straight games from 8/6-14, matching Didi Gregorius (nine straight, 4/20- 28) for the longest streak by a Yankee in 2018...Hit his sixth career grand slam (first since a "walk-off" grand slam on 4/18/14 vs. Seattle) in 8/8 win at ChicagoAL…hit 170HR between grand slams...His solo HR in 8/9 win vs. Texas had an exit velocity of 121.7 mph, surpassing Aaron Judge's 121.1 mph HR on 6/10/17 vs. Baltimore for the hardest-hit HR in the Statcast era (since 2015)...Hit the 300th homer of his career off Francisco Liriano in 8/30 loss vs. Detroit…came in his 1,119th career game, becoming the fifth-fastest player to reach the mark in Baseball history, trailing Ralph Kiner (1,087G), Ryan Howard (1,093), Juan González (1,096) and Alex Rodriguez (1,117)...Hit two solo HRs in 9/27 win at Tampa Bay…was his 32nd career multi-HR game and fourth in 2018...Made his postseason debut, hitting .238 (5-for-21) with 4R, 1HR and 1RBI in five games…played in his first postseason after 1,144 career regular season games…were second-most among active players who had never reached the postseason (Kyle Seager-1,155G)…his 305HR were the most in that group, 112 more than Oakland's Khris Davis (193HR), who also debuted in the 2018 AL Wild Card Game...Became the third Yankee since 2000 to hit safely in at least his first four career postseason games (Aaron Hicks, first 6G in 2017 and Robinson Canó, first 4G in 2005)...Homered and stole a base in his postseason debut in the AL Wild Card Game vs. Oakland…the HR had an exit velocity of 117.4 mph, the hardest-hit postseason HR of the Statcast era (since 2015), surpassing Judge's 116.1 mph HR from seven innings earlier…was the first Yankee and eighth player ever (Longoria, Podsednik, Beltrán, Edmonds, Alicea, Grace, Versailles) to record both an HR and SB in his postseason debut. Won the National League Most Valuable Player Award after leading the Majors with 59HR and 132RBI and hitting .281/.376/.631 (168-for-597) with 123R, 32 doubles and 85BB in 159 games with the Marlins…tied for the Major League lead with an NL-high 91 extra-base hits and ranked second in Baseball in total bases (377), third in runs scored and fourth in OPS (1.007)…was seventh in the NL in walks…led the Majors with a 10.12 AB/HR ratio…ﬁnished sixth in the Majors (fourth among position players) with 6.9 WAR (FanGraphs)... Received 302 points in NL MVP balloting to edge Cincinnati's Joey Votto (300 points) in the fourth-closest MVP race in Major League history (third-closest NL MVP race)…received 10 ﬁrst-place votes, 10 second-place votes, 5 third-place votes, 3 fourth-place votes, 1 ﬁfth-place vote and 1 sixth-place vote…was the ﬁrst MVP in Marlins franchise history, making the Marlins the 27th current franchise to have an MVP winner... Set career highs in runs, hits, doubles, homers, RBI, games played, extra-base hits and total bases…homered in a Major League-best 49 diﬀerent games, ahead of Aaron Judge (45)... Earned his second career NL Hank Aaron Award (most outstanding oﬀensive performer), his second NL Silver Slugger Award and his second Players' Choice Award for Outstanding NL Player... Was the sixth player in Major League history to hit at least 59HR in a season (10th occurrence)…marked the most HRs by any Major League player since 2001, when San Francisco's Barry Bonds hit 73 and the Cubs' Sammy Sosa hit 64…was the sixth-highest total by a right-handed batter in Major League history, behind Mark McGwire (70 in 1998, 65 in 1999) and Sammy Sosa (66 in 1998, 64 in 2001, 63 in 1999)…set a new Marlins club record for homers and was the ﬁrst Marlin to win the Major League HR title... Finished 7HR ahead of the AL HR leader Aaron Judge (52HR) and 20HR ahead of the NL runner-up, the Dodgers' Cody Bellinger (39HR)…was the largest margin ever for an NL home run champion over the runner-up, besting the previous mark of 19HR in 1923 (Cy Williams' 41HR to Jack Fournier's 22HR)…according to Elias, was tied for the ﬁfth-largest margin by a home run champion in either league, behind four Babe Ruth seasons: 1920 AL (35, Ruth's 54HR to George Sisler's 19HR); 1921 AL (35, Ruth's 59HR to Bob Meusel/Ken Williams' 24HR); 1926 AL (28, Ruth's 47HR to Al Simmons' 19HR); 1928 AL (27, Ruth's 54HR to Lou Gehrig's 27HR)…matched the 1956 AL (20, Mickey Mantle's 52HR to Vic Wertz's 32HR)... Became the ninth player (10th time) in Major League history to record at least 10 multi-homer games in one season…was tied for the third-highest single-season total, one behind the Cubs' Sammy Sosa (11 in 1998) and Detroit's Hank Greenberg (11 in 1938)-credit: Elias... marked the most multi-homer games since St. Louis' Albert Pujols had 10 in 2009…had 2 in April, 1 in May, 4 in July (club record for a month), 2 in August and 1 in September... Hit 86 batted balls (33HR) with an exit velocity of at least 110 mph according to MLB Statcast, marking the most batted balls (and most HRs) of at least 110 mph by a player in a single season in the three years Statcast has tracked that data…his third-inning single on 10/1/17 vs. Atlanta left his bat at 122.2 mph, marking the highest exit velocity on a base hit in the Majors over the past three seasons (2015-17)…had four of the Majors' 12 hardest-hit home runs of 2017; his 59th and ﬁnal HR on 9/28 vs. Atlanta (oﬀ Rex Brothers) had an exit velocity of 118.7 mph, the third-hardest-hit home run in the Majors in 2017 (behind two Aaron Judge HRs)... Of his 59HR, a Major League-high 39 traveled a projected distance of at least 400 feet…his 34th HR on 8/4 at Atlanta (oﬀ R.A. Dickey) was his longest of the season, projected at 477 feet... His 132RBI set a Marlins franchise record, breaking Preston Wilson's mark of 121RBI in 2000…was the ﬁrst player in Marlins history to lead the Majors in RBI…teammate Marcell Ozuna placed third in the Majors with 124RBI, as the Marlins were the ﬁrst NL club to produce two of the Majors' top-three RBI leaders since the 1976 Reds (George Foster-121, ﬁrst; Joe Morgan-111, second)…also led the Majors with 38 go-ahead RBI and was third with 18 game-winning RBI…tied for third in the Majors with 32 multi-RBI games (5RBI-1x, 4RBI-5x, 3RBI-13x, 2RBI-13x)... Hit 26 go-ahead HRs, the most by any Major League hitter since St. Louis' Mark McGwire hit 30 in 1998…ranked second in the Majors with 23HR with runners on base, trailing only now-teammate Aaron Judge (24HR with runners on)... Was named via the Player Ballot to his fourth career NL All-Star Team, tying Miguel Cabrera (2004-07) for the most All-Star appearances in Marlins history…started at DH and went 0-for-3 in the game at Marlins Park... Participated in his third Home Run Derby…was eliminated in Round 1 by the Yankees' Gary Sánchez, 17-16... In 76 games at Marlins Park, hit .298/.416/.688 (81-for-272) with 65R, 13 doubles, 31HR and 68RBI, setting a franchise record for HRs at home (prev. Stanton, 24 in 2014)…the 31HR at home were second in the Majors to the Yankees' Aaron Judge (33HR) and the most by an NL player at home since 2001 (Barry Bonds-37HR, Sammy Sosa-34HR)... In 83 road games, hit .268/.339/.585 (87-for-325) with 58R, 19 doubles, 28HR and 64RBI, setting a franchise record for HRs on the road (previously Gary Sheﬃeld, 23 in 1996)…led the Majors in road HRs, the most by any player since San Diego's Adrián González also hit 28HR on the road in 2009…the Marlins had a three-game series vs. the Brewers (9/13-15) moved from Miami to Milwaukee due to Hurricane Irma... Hit 30HR vs. NL East opponents (8 vs. Atlanta, 8 vs. New York, 8 vs. Philadelphia, 6 vs. Washington)…since intra-divisional play was expanded in 2001, became the fourth player to hit at least 30HR vs. a single division, joining Sammy Sosa in 2001 (37 vs. NL Central), Barry Bonds in 2001 (36 vs. NL West) and Brian Dozier in 2016 (31 vs. AL Central)... Hit a Major League-record 47HR from the No. 2 spot in the batting order (previously Milwaukee-NL's Eddie Mathews, 46HR in 1959)... On 6/2 vs. Arizona, hit a solo HR oﬀ Patrick Corbin to collect his 579th career RBI, moving past Mike Lowell (578) for sole possession of ﬁrst place on the Marlins' all-time RBI list... Led the Majors with 12HR in July, matching a then-club record for HRs in a month (fourth time, ﬁrst since Stanton in June 2015)... Was named NL "Player of the Month" after tying the Major League August record with 18HR…hit .349/.433/.899 (38-for-109) with 28R, 6 doubles, 37RBI and 14BB in 29 games…shares the mark with Detroit's Rudy York, who hit 18HR in August 1937…tied York for the second-highest HR total in any month in Major League history, behind the Cubs' Sammy Sosa, who hit 20HR in June 1998…broke Hanley Ramirez's single-month club RBI record of 33 in June 2009…was his third career monthly award... Became the second player in Major League history to combine for at least 30HR over the span of two consecutive calendar months…joined Cleveland's Albert Belle, who hit 31HR in August/September 1995... From 7/5-8/29, hit 30 HR in a 48-game stretch…according to Elias, became the second player ever to homer 30 times in a stretch of 50G-or-fewer within a season (Barry Bonds, 30HR in 47G from 4/12-6/5 and from 4/13-6/7)…also hit 23HR in a 35-game stretch from 7/5-8/15, tied for the third-highest total in a 35-game span in Major League history…homered in 10-of-12 games from 8/4-15 (11HR total), including a club-record 9HR in a 10-game span from 8/4-13... From 7/24-8/22, reached base in a career-best 27 consecutive games, hitting .343/.463/.889 (34-for-99) with 29R, 6 doubles, 16HR, 34RBI and 19BB... From 8/1-15, tied the Major League record by hitting 11HR in the ﬁrst 15 days of a calendar month, matching Troy Tulowitzki (Sept. 2010), Sammy Sosa (June 1998) and Ralph Kiner (Sept. 1949)... From 8/10-15, set a Marlins record by homering in six consecutive games…tied for the seventh-longest home run streak in Major League history, two shy of the record of eight games, shared by Ken Griﬀey, Jr., Don Mattingly and Dale Long... Hit his 43rd HR on 8/14 vs. San Francisco (oﬀ Ty Blach), breaking Gary Sheﬃeld's club record of 42HR in 1996…had tied Sheﬃeld with his 42nd HR the previous day, 8/13 vs. Colorado (oﬀ German Márquez)... On 8/27 vs. San Diego, hit his 50th HR (oﬀ Clayton Richard), becoming the 28th player to reach the milestone in a single season…with 50HR in the Marlins' ﬁrst 129 games, was the seventh-fastest player to the number, behind San Francisco's Barry Bonds in 2001 (117th team game), the Cubs' Sammy Sosa in 1999 (121st), St. Louis' Mark McGwire in 1999 (124th) and 1998 (125th), the Yankees' Roger Maris in 1961 (125th) and the Yankees' Babe Ruth in 1921 (125th)…was the eighth-fastest player, by date, to hit 50HR, and the ﬁrst player to reach the 50-homer mark in August since 2001 (Bonds/Sosa)... On 9/28 vs. Atlanta, hit home runs No. 58 (third PA) and No. 59 (ﬁfth and ﬁnal PA)…in 14PA with a chance to hit a 60th HR, went 5-for-14 (.357) with one double... Earned three NL "Player of the Week" Awards, second-most weekly awards in the Majors in 2017 (J.D. Martinez-4)-8/6-12 (.346, 9-for-26, 8R, 1 double, 5HR, 10RBI in 7G); 8/20-26 (.387, 12-for-31, 7R, 2 doubles, 5HR, 11RBI in 7G) and 9/17-23 (.318, 7-for-22, 6R, 1 double, 3HR, 12RBI in 6G), co-winner with Marcell Ozuna... Was acquired by the Yankees from the Marlins along with cash considerations in exchange for 2B Starlin Castro, RHP Jorge Guzman and INF Jose Devers on 12/11. Hit 200th career home run on July 6 at the Mets...Became seventh-fastest player in Major League history to reach that plateau (781 games), according to STATS LLC...His 200th was his second of the game; also hit two home runs the previous night, at the Mets...Became second player in Club history with consecutive multi- homer games (Derrek Lee, June 9-10, 2002)...Additionally, was first player in Marlins' history to homer in four consecutive AB, doing so in last two at-bats on July 5 and first two on July 6 (walked in first plate appearance on July 6)...Accepted invite to participate in Home Run Derby during All-Star Week in San Diego and was crowned champion after setting Derby record with 61 home runs...Defeated Robinson Cano, 24-7, in first round, beat Mark Trumbo, 17-14, in semifinals, and unseated defending champion Todd Frazier, 20-13, in the finals...Missed 22 games from August 14 to September 5 with left groin strain; team went 8-14 in his absence...On Sept. 20 vs. Washington, had second career game with a home run in a 1-0 win for the Club (also, May 14, 20111 at Washington)...It was only 10th time in Club history that has happened; last two by Stanton (only player in Club history to do it twice)...Finished ninth in National League in home runs as an outfielder (26); had 27 homers overall, ranking tied for 19th in NL. Season ended after just 74 games when he suffered broken hamate bone in left wrist on June 26 vs. the Dodgers...As of June 27, was leading the Majors in home runs (27) and RBI (67), as well as games with an RBI (37) and multi-RBI games (19)...On April 16 at Atlanta, became Marlins' all-time HR leader with 155th long ball of career, breaking a tie with Dan Uggla...Was voted a starting outfielder for National League All-Star Team; it was his third ASG selection and his first time voted in as starter...Still finished the season tied for 10th in home runs in the NL...Slugged .814 vs. LHP, with 12 of 17 hits going for extra bases (2 doubles, a triple, 9 home runs)...His 12 home runs in June (24 games) was tied for the NL lead, while his 23 RBI were tied for fourth, earning him NL Player of the Month honors...His 12 homers in June tied the Club record for any month (also, Stanton in May 2012 and Dan Uggla in May 2008)...With his home run on June 18 at the Yankees, reached 25 home runs for the fourth time in his career, tied with Miguel Cabrera for second-most in Club history behind Dan Uggla (5, 2006-10)...Was named NL Co-Player of the Week for June 8-14, when he hit .520 (13x25) with four doubles, five home runs, 12 RBI and a 1.280 SLG; marked his third career POW award...On June 11 vs. Colorado, became first player in Club history with nine HR over a 12-game span...Had 16th career multi-HR game on June 9 at Toronto, extending Club career record. The runner-up for the National League MVP award was also named to second Na-tional League All-Star Team, earned ?rst career Hank Aaron Award for NL (most outstanding offensive player), ?rst career Silver Slugger Award for NL out?eld, and ?rst career Players Choice Award for NL Outstanding Player...Was also named Team MVP by South Florida chapter of Baseball Writers Associa-tion of America...Was ?nalist for NL Gold Glove Award for right ?eld...Season ended on September 11 at Milwaukee after being hit by pitch in face; suf-fered facial lacerations, small fractures and dental damage...At time of injury, led NL in HR (37), RBI (105), TB (299), XBH (69), SLG (.555), BB (94) and IBB (24); also, was third in OBP (.395) and 17th in AVG with RISP (.316)...Still ?nished season leading NL in HR, TB, SLG, and IBB; tied for ?rst in XBH; second in RBI, BB and OBP...Was first Marlin to ever lead NL in home runs, and his 24 home runs at home were the most in Club history...On Sept. 8 at Milwaukee, tied Dan Uggla for most HR in Club history (154), and also tied career high for a single season (37 in 2012). The two 37-homer campaigns are tied for second-most in a season in Club history, behind Gary Shef?eld (42 in 1996)...Only second Marlin to have three seasons with 25-plus HR before age of 25, joining Miguel Cabrera, who had four (2004-2007)...Finished tied with Matt Holliday for ?rst in NL in go-ahead RBI (31), according to STATS LLC...According to STATS LLC, had career-high 13 GW RBI (formerly 11 in 2011)...On August 19 vs. Texas, recorded ?fth career walk-off hit, second of 2014 (?rst sea-son with multiple walk-off hits)...On Aug. 11 vs. St. Louis, recorded 13th multi-homer game of career, setting new Club record for such games (formerly 12, Hanley Ramirez)...Among active players, had second-most multi-HR games before age 25 (Alex Ro-driguez, 14)...Tied Jose Abreu and Adam Jones for most ?rst-inning HR in MLB (12); fell two short of Club record for such HR, according to STATS LLC (Gary Shef?eld, 14 in 1996)...Had second-most IBB in Club history, behind Miguel Cabrera (27 in 2006)...Had 100 hits prior to All-Star break for ?rst time in career (104); with Casey McGehee (115), ?rst Marlin teammates to do so since 2008 (Ramirez, Jorge Cantu)...21 HR prior to All-Star break tied for ?fth-most in Club history, and were most since Hanley Ramirez and Dan Uggla in 2008 (23 each)...According to Elias, was ?rst player since GW RBI were first compiled in 1980 to record six GW RBI in team's ?rst seven wins of season...Had an RBI in ?rst seven games, tying Cliff Floyd (2001) for second-longest streak in Club history (10, Jorge Cantu in 2010). -STATS LLC...Had 12 RBI in those seven games, tying Club record for most RBI through team's ?rst seven games (Jorge Cantu in 2010, Mike Lowell in 2001)...On April 18 vs. Seattle, hit second career walk-off grand slam, ?fth in Club history. Was ?fth career GS, one shy of tying Jeff Conine for Club record...Was issued IBB in all three games of series vs. Seattle, marking just second time in Club history a player received IBB in every contest of a series of three-or-more games, joining Carlos Delgado (three-game series vs. Mets in Sept. 2005). -Elias..Had 31 RBI prior to May 1, establishing new Club record. Was ?fth-most RBI prior to May 1 in NL history, behind Mark McGwire (36 in 1998), Vinny Castilla (33 in 1998), Barry Bonds (32 in 1996) and Albert Pujols (32 in 2006). - STATS LLC..Set new career high with 17-game hitting streak from April 29 to May 15, batting .417 (25x60) with 5 2b, 4 HR, 13 RBI, .514 OBP and .700 SLG...On May 20 vs. Philadelphia, scored three runs without a hit, just eighth time in Club history a player accomplished that feat...On May 30 vs. Atlanta, became fastest player to 50 RBI in Club history (54 games), beating Mike Lowell's record of 57 games in 2001..On June 28 vs. Oakland, became just fourth player in Club history with 20+ HR, 60+ RBI prior to break, joining Mike Lowell (28/76 in 2003), Cliff Floyd (21/70 in 2001) and Gary Sheffield (25/62 in 1996). Led team in home runs, RBI, walks, slugging and game-winning RBI (10)... Hit two home runs on June 17 at Arizona, giving him 100 for his career... Was fastest player in Club history to reach that mark (400 G), ahead of Dan Uggla (509)... Was also ninth-fastest to 100 homers in MLB history, according to STATS LLC and SABR. Ryan Howard holds the record (325). At 23 years, 221 days, he was 11th youngest player to reach century mark. Mel Ott was youngest (22.132)... Spent April 30-June 10 on 15-day disabled list with strained right hamstring... Hit .302 (61x202) in 57 games at Marlins Park, compared to .202 (45x223) in 59 games on road. That was the largest drop-off from home to road games in the Majors, according to STATS LLC... Of his 24 home runs, 15 came at home, tied with Carlos Gomez and Will Venable for fifth-most in NL... Set new career high for walks, with 74 in 116 games. Former high was 70 in 2011, in 150 games... His PA/BB ratio was 6.81, a career-best, ahead of 8.59 in 2011... On September 14, had third multi-homer game of season, and ninth of career; seven of those games have been on road. Was second in National League in home runs, trailing only Ryan Braun (41); it was seventh-highest total in Majors...Won NL slugging percentage title (.608), after adjustment in accordance with rule 10.22(a); finished year with 501 plate appearances. He was first Marlin to win that award...Was selected to NL All-Star team for first time, and was selected to participate inHome Run Derby contest...Missed both events, however, due to arthroscopic surgery to remove loose bodies from right knee. Missed 25 games from July 8-August 7; during that span, Marlinswent 8-17...Also missed nine games in late September due to a strained left intercostal muscle...Finished season with 93 career home runs. Tied Frank Robinson for fifth-most homeruns ever by a player before age of 23, behind only Mel Ott (115), Eddie Mathews (112), Tony Conigliaro (104) and Alex Rodriguez (95) - ELiAS...Batted .284 (81-for-285) in 80 games prior to All-Star break, with 19 home runs and 50RBI. In just 43 games in second half, fell one home run short of matching his first-halfproduction, with 18 round-trippers, and also recorded 36 RBI and a .299 average (49-for-164)...After returning from DL on Aug. 7, tied B.J. Upton for most home runs in Majors, with 18, and had highest slugging percentage (.701), ahead of Adrian Beltre (.677)...Set Club record for second-half home runs, despite playing in just 43 games after All-Star break. Previous record of 17 was held by Gary Sheffield (in 74 games in 1996), Dan Uggla (in 71 games in 2010) and Stanton (in 72 games in 2010)...His 21 homers on road tied Ike Davis for most in NL, and also tied Josh Hamilton for second in Majors, behind Adam Dunn (23)...On an 11-game road trip that took the Marlins to Colorado, Arizona and Los Angeles (NL) from August 16-26, hit eight home runs, setting a new Club record for any road trip (formerly six)...Homered in first three games of a four-game set at Coors Field from August 16-19. That gave him home runs in first six career games at Coors Field. Became first player in ML history to homer in first six games at any park, and first visiting player to homer in six straight games at Coors Field. Fell one game short of the ML record for consecutive games with a home run at one park - ELiAS...Was named NL Player of the Month for May. Finished month with 12 homers, 30 RBI and a .343 batting average. Since 1920, the year runs batted in were compiled on official scores for first time, only one player under age of 23 had that many homers and RBI and a batting average that high in a calendar month: Joe DiMaggio in July 1937 at age of 22 (15 HR, 43 RBI, .430 BA) - ELiAS...His home run and RBI totals in May equaled Club records for that month, while the home run total also tied the Franchise record for any month. He tied Dan Uggla(2008) for the May and monthly record in homers, and tied Miguel Cabrera (2006) for the May RBI record...On May 13 at Marlins Park, hit a walk-off grand slam against Mets to cap a six-runninth inning in an 8-4 victory. Became third Marlin in Club history to hit a walk-off grand slam, joining Dan Uggla (June 11, 2008 vs. Philadelphia) and Bobby Bonilla (September 16, 1997 vs. Colorado) - ELiAS. Finished fifth in National League in home runs, eighth in slugging and 18th in RBI...Named Club's Most Valuable Player by South Florida chapter of BBWAA. Led teamin extra-base hits (69), home runs, RBI and slugging percentage...On Opening Day, became first player since 1970 to start in fourth spot in battingorder prior to his 22nd birthday. That happened twice in 1970, with Johnny Ellis forYankees and John Mayberry for Astros...Hit second career grand slam in 10th inning on August 1 at Citi Field against Mets,becoming second Marlin to hit a grand slam in extra innings. Also became youngestplayer in Majors to connect on an extra-inning grand slam in more than 40 years.Was 17 days older than Johnny Bench, who hit an 11th-inning grand slam vs. Montrealon August 13, 1969...Finished season with 56 career homers. In last 40 years, only Ken Griffey Jr. (60) andAlex Rodriguez (56) hit as many home runs prior to turning 22...Had 31 home runs on September 1, tying him with Albert Pujols (2001) for fifth-mosthomers in a season prior to September by a player younger than 22 in Major Leaguehistory. Only Eddie Mathews (43, 1953), Frank Robinson (35, 1956), Mel Ott (33, 1929)and Alex Rodriguez (33, 1996) hit more...Had two multi-homer games, giving him four for his career. First came on July 16 atWrigley Field against the Cubs. Second was at Sun Life Stadium vs. Atlanta on September19, his first such game at home...Recorded team-leading 11th, and final, game-winning RBI of season with a pinch-hitsingle in 12th inning on September 12 at Atlanta; was first pinch hit of career (1x7,three walks, one HBP, one RBI). Also gave him team lead in go-ahead RBI, with 21 atthe time; finished with 22, which still led team...From August 14-17, tied Club record by homering in four consecutive games...Opened season with a 1x2 performance on April 1, extending career-long hittingstreak, which began on September 23, 2010, to 12 games. It ended on April 7 (0x1). Had contract selected by Marlins on June 8, 2010 and made ML debut that nightin Philadelphia, going 3x5 with two runs. At 20 years and 212 days, was secondyoungestplayer to make debut with Marlins (Miguel Cabrera; 20 years, 63 days)...Became youngest player to get three-or-more hits in ML debut since Danny Ainge,who was 20 years, 65 days old, for Blue Jays on May 21, 1979 (Elias Sports Bureau)...Hit 17 home runs in second half, tying for most post All-Star home runs in Franchisehistory (Gary Sheffield, 1996)...Hit first career home run on June 18, a grand slam off Matt Garza. Was sixth Marlin inClub history whose first home run was a grand slam...On August 11 at Washington, went 5x5 with two doubles, a home run and four RBI.According to Elias Sports Bureau, became second youngest player (20 years, 276days) to register five hits and drive in four runs in same game since RBI became anofficial statistic in 1920. The Cubs' Phil Cavarretta had five hits and four RBI at age of19 years and 33 days on August 21, 1935. Also from Elias, Stanton is second player inMarlins' history with five hits and four RBI in same game; other was Gary Sheffield onSeptember 17, 1995 at Colorado (five hits; four RBI)...Marked first of two multi-home run games on August 13 at Cincinnati. Was first playernot yet 21 years old to hit two-or-more home runs in a game since Miguel Cabreraon April 13, 2004 at Montreal (Elias Sports Bureau)...Second two-HR game was on September 12 at Washington. Pushed season total to20 and became fourth player since 2000 to reach mark within first 81 games played,joining Albert Pujols, Ryan Braun and Adam Dunn. In addition, no player had hit as many homers in a season in which he madebig-league debut in June or later since Kevin Maas slammed 21 home runs for Yankees in 1990 after playing first game in Majorson June 29 (Elias Sports Bureau)...Named NL Player of the Week from August 9-15 after leading Majors in batting. Posted a .583 average (14x24), and also ledMajors in doubles (five), hits, slugging percentage (1.292), on-base percentage (.630) and total bases (31). Was tied for ML leadin home runs, with four...On September 30, he and Pedro Alvarez each had five RBI in Marlins' 11-9 win against Pirates. It was only third game since 1920(when the Major Leagues first officially recorded runs batted in) in which each team had a rookie who recorded at least five RBIs.According to Elias Sports Bureau, it happened in a 1997 game between White Sox (Mike Cameron) and Angels (Todd Greene),as well as a 1998 game between Rockies (Todd Helton) and Diamondbacks (Karim Garcia)...Ended campaign with season-best 11-game hit streak. Hit .395 (17x43) with a double, two home runs and eight RBI in that span...Threw out 10 runners, leading Marlins in outfield assists. The 10 assists tied Preston Wilson for third-most by a Marlins' rookie. MarkKotsay threw out 20 runners in 1998, and Jeff Conine had 11 in 1993...At time of promotion to Majors in 2010, led Southern League in home runs, RBI, on-base percentage, slugging percentage, extrabasehits (36), total bases (140) and intentional walks (10)...Earned SL Player of the Week honors for April 26-May 2...Named Marlins' Minor League Player of the Month for April after hitting .342 with 10 home runs and 23 RBI in 21 games. Split the season between single-A Jupiter and double-A Jacksonville, batting a combined .255(122x479) with 24 doubles, five triples, 28 home runs and 92 RBI. Led all Marlins minor leaguers inhome runs, RBI and total bases (240). Ranked third in the organization in strikeouts (144)....At Jupiter, hit .294 with 12 home runs and 39 RBI in 50 games. Despite playing only 50 games, ledHammerheads in home runs and ranked fourth in RBI....Earned Florida State League All-Star honors and the Marlins' Organizational Hitter of the Monthfor May after batting .298 (28x94) with 18 runs scored, eight doubles, one triple, eight home runsand 25 RBI in 27 games....Tallied a season-best five hits on April 19 at Sarasota, going 5x5 with a run, double, home run andfour RBI....Homered in three consecutive games two times; April 17-19 and May 9-12. Also homered in consecutivegames on May 26 and 27....Promoted to Jacksonville on June 5 and made the start that same day in right field againstCarolina. Went 2x4 with two RBI in his first double-A contest....Had a season-long nine-game hit streak from July 15-24 where he posted a .389 average (14x36)with 10 runs scored, three doubles, three home runs and six RBI. Also had two seven-game hitstreaks....Homered in consecutive games twice with the Suns; June 24-25 and July 23-24....Connected for his fist multi-homer game of the season on July 1 vs. Montgomery. Had his second two-homer game in his final contestof the season on September 7 vs. Huntsville....Following the season, appeared in six games with the Mesa Solar Sox in the Arizona Fall League. Posted a .478 average (11x23)with one home run and two RBI....Named by Baseball America as the 'Best Power Prospect' in both the Southern League and Florida State League at the conclusionof the season. Named as the top prospect in the Organization by Baseball America and the third best prospect in all of MiLB byMLB.com. In second professional season in 2008, posted a .293 average with 26 doubles, three triples, 39 home runs and 97 RBI...led SouthAtlantic League in home runs, extra-base hits (68), total bases (286), slugging percentage (.611) and home runs per at-bat (1/12.0),and ranked third in RBI and runs (89)...among Marlins' minor leaguers, led the organization in total bases, ranked second in homeruns and RBI, third in runs and slugging percentage, and fifth in hits (137)...earned South Atlantic League Player of the Week honorstwice; June 16-22 and August 25-31...named Marlins Player of the Month in June, batting .300 (30x110) with seven doubles, 10home runs and 22 RBI...opened the season by collecting a hit in 12 of his first 13 games, including an 11-game hit streak from April6-16...batted .463 (19x41) with two home runs and nine RBI over the streak...had another 11-game streak from August 4-15, batting.447 (21x47) with five home runs and 13 RBI...owned four multi-home runs games; May 6 at Hagerstown, July 29 at Lake County,August 11 at Hickory and August 31 vs. Lexington...drove in a season-high five runs on August 13 at Hickory...following the season,was named the 'Best Power Hitter' in the Marlins organization by Baseball America...also ranked by Baseball America as the secondbest prospect in the organization...named MLB.com's Class A Offensive Player of the Year and earned SAL Post Season All-Starhonors. In 2007, combined to play only 17 games in his first professional season, but was ranked by Baseball America as the Marlins ninthbestprospect and as the 'Best Power Hitter' and 'Best Athlete' in the organization. 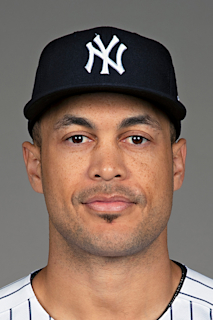 April 1, 2019 New York Yankees placed RF Giancarlo Stanton on the 10-day injured list. Left biceps strain. December 11, 2017 Miami Marlins traded DH Giancarlo Stanton and cash to New York Yankees for 2B Starlin Castro, RHP Jorge Guzman and SS Jose Devers. September 6, 2016 Miami Marlins activated RF Giancarlo Stanton from the 15-day disabled list. August 14, 2016 Miami Marlins placed RF Giancarlo Stanton on the 15-day disabled list. Left groin strain. October 5, 2015 Miami Marlins activated RF Giancarlo Stanton from the 15-day disabled list. September 1, 2015 Miami Marlins sent OF Giancarlo Stanton on a rehab assignment to Jupiter Hammerheads. June 10, 2013 Miami Marlins activated RF Giancarlo Stanton from the 15-day disabled list. June 4, 2013 Miami Marlins sent RF Giancarlo Stanton on a rehab assignment to Jupiter Hammerheads. June 4, 2013 Giancarlo Stanton roster status changed by Jupiter Hammerheads. April 30, 2013 Miami Marlins placed RF Giancarlo Stanton on the 15-day disabled list. Right hamstring strain. August 7, 2012 Miami Marlins activated RF Giancarlo Stanton from the 15-day disabled list. August 2, 2012 sent OF Giancarlo Stanton on a rehab assignment to Jupiter Hammerheads. July 13, 2012 Giancarlo Stanton roster status changed by Miami Marlins. July 8, 2012 Miami Marlins placed RF Giancarlo Stanton on the 15-day disabled list. October 21, 2010 OF Giancarlo Stanton assigned to Criollos de Caguas. June 8, 2010 Florida Marlins selected the contract of RF Giancarlo Stanton from Jacksonville Suns. February 8, 2010 Florida Marlins invited non-roster RF Giancarlo Stanton to spring training. October 29, 2009 Mesa Solar Sox reassigned OF Giancarlo Stanton to the minor leagues. June 5, 2009 Giancarlo Stanton assigned to Jacksonville Suns from Jupiter Hammerheads. April 8, 2009 Jupiter Hammerheads signed Giancarlo Stanton.